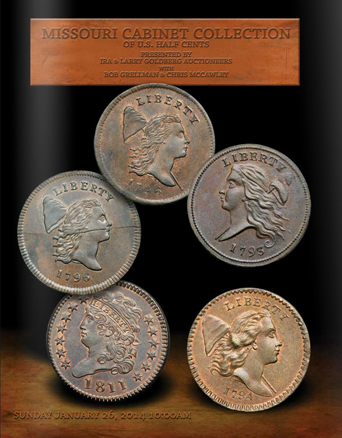 The URC Library Features numismatic education with referenced media on a variety of subjects related to rare coin history, collecting, and investing. Read and experience interactive media from the history U.S. coinage and early Minting, to Acts of Congress, covering interesting U.S. Type Coins, and the stories behind them. Adam Eckfeldt served as the U.S. Mint Chief Coiner for a quarter century. Working at the U.S. Mint since its beginnings in 1792, Eckfeldt was in the perfect position to be surrounded by the finest specimens of early coinage. He began his personal collection early on, and often spent money on coins from his own funds to acquire special coins for the Mint. 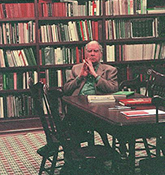 He would set aside the finest U.S. coins from each year, in hopes to someday establishing a conservatory of coins, which later became the Mint Cabinet Collection, Now residing at the Smithsonian's National Numismatic Collection in Washington DC. The Eckfeldt family passion of U.S. Minting continued under 31 Presidential administrations, from George Washington in 1792 to Herbert Hoover in 1929. 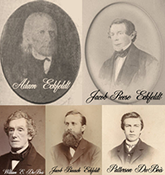 Four Generations of Eckfeldts have been involved in American Numismatics, since Adam Eckfeldt's Father, John Jacob Eckfeldt, made dies for Robert Morris's coinage back in 1783… Until his Great Grandson, Jacob B. Eckfeldt Retired in 1929… almost 150 years of Numismatic dedication. Eric P. Newman is a Living Ledged in Numismatics. with over a Century of life experience, that has been dedicated to learning, loving and living his pursuits in life, as an example of his passions. It is said that "Great Men" Aren't Born to Greatness, They Become Great By Their Actions," and Eric Newman is that great man. His museum and foundation are examples of a man who cares, and who is humble about what he has achieved, and leaves that legacy behind. His greatest achievement is not reaching 100 years of age, but of the lasting knowledge that he has provided us forever. This interactive coin carousel is a preview of the Ira and Larry Goldberg auction of the Missouri Cabinet Collection of U.S. Half Cents, which is the only complete collection of U.S. Half Cents ever formed. These 12 selected coins are out of the 230 lots to be offered for sale. This epic collection is to be auctioned on Sunday, January 26th, 2014 in Los Angeles CA. For a complete Missouri Cabinet Collection Catalog please contact Goldberg Auctioneers by phone at 310.551.2646 or visit the Goldberg Auction website at www.GoldbergCoins.com.